In the past, Harbour Town Shopping Centre would probably not have been a place you would associate with sophisticated restaurant-style dining. Well, things have changed. Big time. Just before Christmas, the shopping destination unveiled Harbour Town Eats, a multi-million-dollar food precinct, and within that is Sanctum Kitchen & Bar – an eatery that is spinning the concept of shopping-centre dining on its head. At the end of December we introduced you to one of the first new additions to Harbour Town Eats – refined family-friendly sport bar and restaurant, Crafty’s. Sanctum was hot on its heels, unveiling its sleek fit-out and produce-driven breakfast, lunch and dinner menus just before Christmas. Heading the Sanctum kitchen is local chef Luke Turner, who oversees a constantly evolving food offering designed to showcase the region’s best produce to shoppers and local diners. 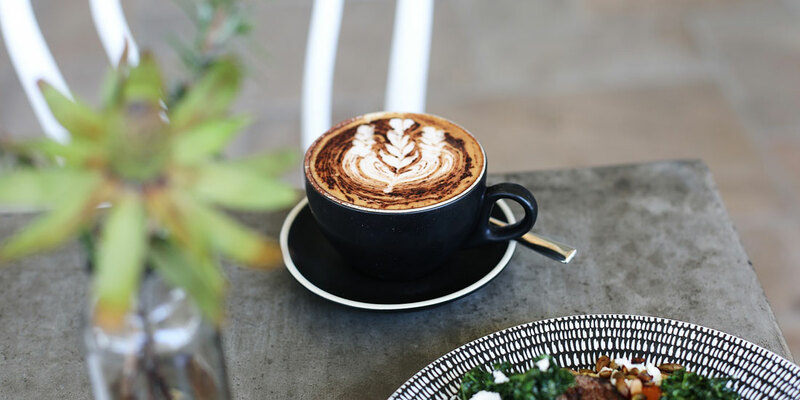 Your morning will get off to a great start with Brisbane’s awarded Bellisimo Coffee pouring alongside breakfast dishes like intricately plated smoked salmon with grilled asparagus, poached egg, house-made hollandaise and a dusting of pollen and charcoal. For lunch and dinner, there’s everything from shaved-pastrami sour-rye sandwiches through to crispy-skin barramundi with a spicy green mango and pawpaw salad with pickled herbs. 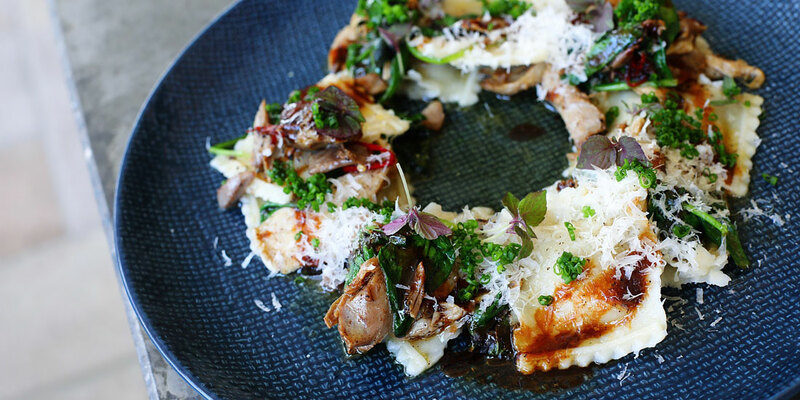 The chargrilled eye-fillet tails with braised onions, baba ghanoush and salsa verde is a feast for the eyes, though it’ll be hard to pass up the hand-made confit duck-leg ravioli with burnt butter, chilli, lemon and sage. Sanctum’s bright, breezy and relaxed setting sees the seating sprawl indoors and out, making it ideal for long lunches and intimate dinners. Though, if you’re on the go (or on a roll with your shopping haul), cast your eyes on the counter full of housemade pastries and treats, or visit Sanctum’s own fish and chippery – a grab-and-go window with a rotating offering of local seafood brought in fresh from the trawlers each day. Keen for snacking, sipping and shopping? Of course you are. Head to Sanctum Kitchen & Bar’s Stumble Guide listing for opening hours, location and contact details.